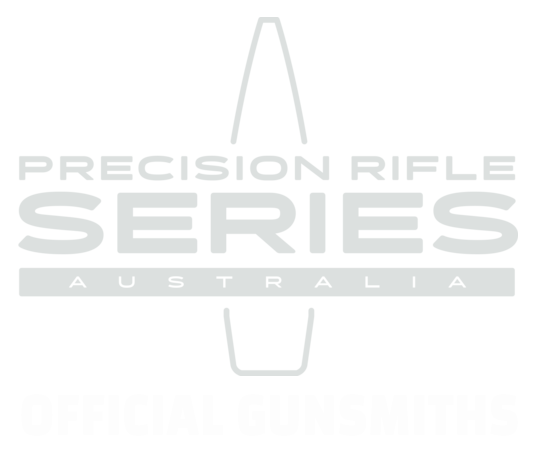 The term “tactical” conjures up many images when talking about custom firearm modifications among our gunsmiths. At one end of the spectrum, there are the extreme tacticool operators, who kit out their gear with enough rails to mount their frypan and camping equipment. 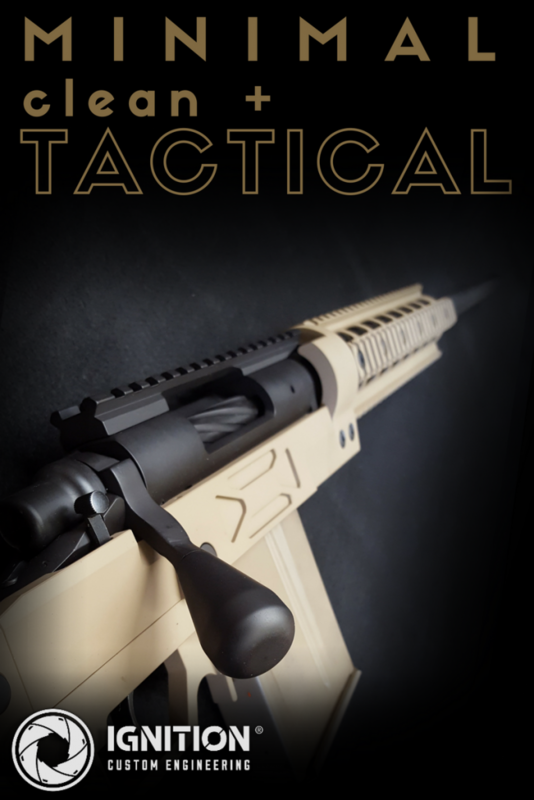 But for the most part, “tactical” means making a firearm more functional, easy to use or safe in a practical application like competition or hunting. 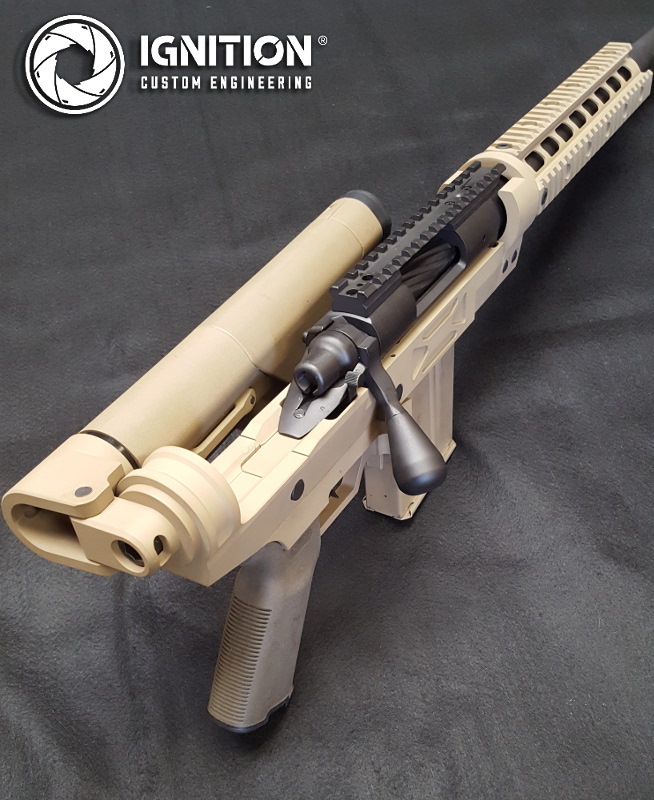 This particular build is a beautiful example of how tactical can also be clean and minimalist at the customer’s request. Once the Rem 700 action was in our hands, we ensured off-the-shelf precision and quality consistent performance by accurizing the action and upgrading the extractor. The client also opted for an oversized bolt knob to for ease of use and spiral fluting for protection against dirt in the field. To keep the lines of the barrel clean and streamlined to suit the overall theme, the muzzle brake was fabricated to blend seamlessly with the barrel (we can custom fabricate can make any size and style) to ensure efficiency without interrupting the seamless clean line of the barrel. The barrelled action and all attached metal parts including the brake were finished in black Cerakote and it was ready to fit into the stock. 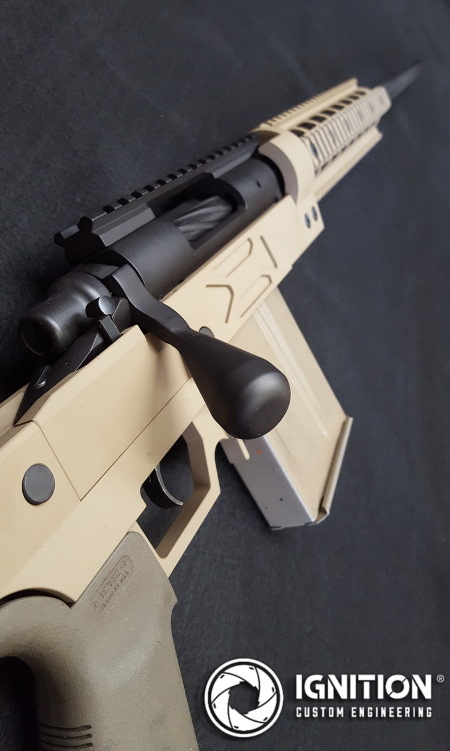 The look of this rifle was completed with a Precision Rifle Products modular chassis stock (which is manufactured right here in Adelaide – our product review and purchase through our webstore will be ready soon). The stocks come standard in black, but to keep the look light and clean we Cerakoted it in Coyote Tan. We paired up the chassis with a Magpul But Stock in Coyote Tan and a folding stock adapter. 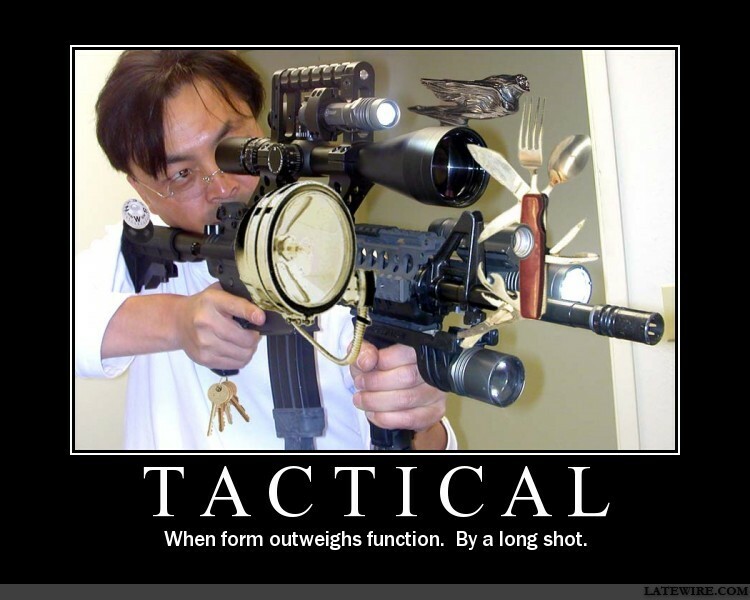 What’s the craziest tactical modification you’ve ever seen? Hop over to Facebook and let us know!